5 ziplines, 4 tree top bridges, 2.5 – 3 hour adrenaline adventure + PEAK 2 PEAK Gondola tickets! 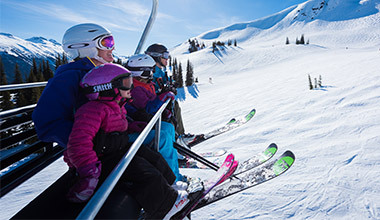 Save by combining two of Whistlers most popular activities into one ultimate combo! A sightseeing journey on the world-record breaking PEAK 2 PEAK Gondola, coupled with an exhilarating Ziptrek Eagle Tour. The Eagle tour includes 5 ziplines and your adventure ends by zipping all the way back to Whistler Village. A 2,000-foot, awe-inspiring zipline makes this tour perfect for those who have already experienced the Bear tour or are seeking even more heart-pounding adrenaline! Total tour duration is 2.5 – 3 hours. PEAK 2 PEAK sightseeing tickets can be picked up at the Ziptrek Guest Services desk in the Carleton Lodge. Tickets can be used at any time and are valid until the end of the season during PEAK 2 PEAK hours of operation. PEAK 2 PEAK combos with Ziptrek Twilight, Mammoth and Bear tours are available. Search to see pricing available for each combo option. Ziptrek is the original zipline tour company in Whistler. The Ziptrek tour takes place over the Fitzsimmons Valley between Whistler and Blackcomb Mountains. 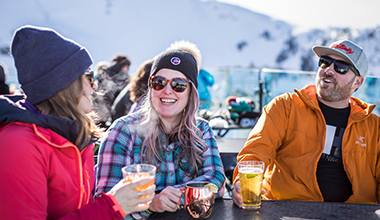 This tour starts and ends right in the heart of Whistler Village. The guides will provide information on the local ecosystem. Ziptrek uses a “free range harnesses” so you can lean back and go upside down safely and in comfort. During the summer months (May to October) wear comfortable, supportive athletic or hiking shoes. Open toed shoes, sandals and dress shoes are not permitted. Wear comfortable clothing appropriate for the weather. During the winter we recommend wearing layers of outdoor clothing. Generally we suggest wearing the same thing you would wear skiing or snowboarding. You will not be able to bring a backpack or any other baggage on tour with you. You will be wearing a full body harness and backpacks will interfere with this harness. In addition we do not want anyone to lose of drop anything while zipping! Please leave all personal belongings at your hotel, small item storage is available for Ziptrek guests. Yes! If you have a camera or small video recording device you can bring it with you. We recommend having a wrist or neck strap so that you can attach it to yourself when zipping. Go Pro/Contour Style Helmet Cameras are permitted and do fit securely on our helmets provided you bring the accessory straps required. Do tours run in the winter and in the rain? With the exception of the Sasquatch Tour, Ziptrek Ecotours run all year round in all weather conditions. Tours run rain, snow, or shine! Please check the weather and dress appropriately for your tour. Generally, the weather in the village reflects the weather on course. Refunds will not be given in the event of rain. Ziptreks minimum weight requirement is 65lbs/30kgs to a maximum of 275lbs/125kgs. Underweight participants (min. 6 yrs.) must contact Guest Services for tandem arrangements (only available on the Bear tour). *Minimum weight for the Eagle tour and Mammoth tour is 75lbs/32kgs. Guests should be prepared for light physical exertion - the tour includes several flights of stairs and some hiking. Smoking, drugs or alcohol are not permitted on any tour at any time. Ziplining is not permitted for women who are pregnant. What is the difference between the Bear, Eagle and Mammoth tours? Ziptrek has three distinct ziplining tours to choose from: Bear, Eagle and Mammoth. The main difference between the first two tours will be the length of your ziplines as well as your scenery; both of tours last 2.5 to 3 hours in duration and include 5 ziplines. The Mammoth tour includes both the Bear and Eagle lines in a huge 10 line tour. This tour lasts 4.5 hours and a mid-tour meal will be provided on course. Ziptrek Bear's 5 ziplines range between 200' and 1100' in length, with the exception of the first line this tour takes place in the old growth rainforest and you have the option of flipping upside down on the last line! Ziptrek Eagle's 5 ziplines range between 400' and over 2000' in length! This tour starts in the old growth rainforest but ends in Whistler Village making some of these lines steeper. Where do I meet for the tour? The Ziptrek check in desk is located inside the Carleton Lodge. You will find the Carleton Lodge at the base of Whistler Mountain across from the Whistler Gondola building. All guests are asked to arrive at the desk 15 minutes prior to the start of their tour to check in. Once you have checked in for your tour our tour guides will get you ready for your tour. We will take care of all transportation from this point. To start your tour we will shuttle you by van approximately 10 minutes up Blackcomb Mountain.